This news hits close to home for me because the villain is from my home town of Columbia, SC, was league president over the youth baseball league in which I played as a child, was a client who purchased sports insurance from my agency, and ruined the lives of many people in my community. His name is Chuck Sullivan and he was denied parole after serving 15 years of his 35 year sentence. 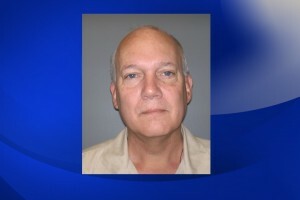 He was convicted in 1998 on 32 charges of fondling, sexual exploitation of minors, and disseminating harmful material to minors in the 1970s, 1980s, and 1990s. He used the all-too-familiar methods of winning the trust of young boys (and their parents), providing liquor, sexually exploiting them, and then shaming them into silence. This is called sexual grooming and is the topic of an earlier article we posted, Protecting Children against Sexual Abuse and Molestation. Sullivan was employed by a school and a children’s home and volunteered for a number of youth sports organizations. Looking back, had these organizations implemented the free abuse/molestation risk management programs that we offer to our clients, it is likely that he would have been stopped earlier. The use of criminal background checks (only 5% of predators have criminal backgrounds that could be detected upon running a check), and the education of administrators, staff, and parents about sexual grooming techniques and policies and procedures such as the use of a buddy system where a single adult is never alone with a single, unrelated child could have prevented a lot of damage. I often hear people say that abuse/molestation can’t happen in their sports organization because everyone knows everyone too well and they don’t need to be concerned with background checks or risk management. My response is to share the Chuck Sullivan case with them and say that if it happened in my community, it can happen anywhere. The State Newspaper, March 28, 2013.